I've come to the conclusion that genies are coded weirdly. Even though this got sorted out before (by changing outfits), I think it should be included in the list of bugs. As there was no way to simply turn a sim into a genie outside of using a mod prior to supernatural, this is definitely related to the expansion. I believe it's a bug that causes the default genie outfit to give them default pudding faces when using a potion to turn someone into a genie (or any other means, such as CAS or using a mod). Honestly, I can understand having your skin turn blue and you magically changing clothing, but it should NOT affect facial structure. That part of the equation makes zero sense. Can we please add this to the list so it can be brought to EA's attention? ETA: This came back onto my radar when I ported a genie family and they ended up in default genie outfits that were NOT in their saved outfits before and pudding faces. :roll: It reminded me that even though the issue was 'fixed' by changing their clothing it wasn't listed as an issue and, honestly, this is a problem. I dont know if this has been added yet but heres goes.. I was playing with my fairy sim telling her to sleep and she started making food and then the food disappeared in her hand and she continued to hold her hand as if she was holding a plate. Soon after i tried to get her to sleep and she wouldn't sleep in the bed or fairy house without waking up and having a "freak out". I was under the impression only neurotic sims could do this and my fairy sim does not have this trait. What is going on and how do i fix it? I'm not sure if this will help, but my game was lagging so badly, I couldn't play and I am playing on a new computer that far exceeds the specs of the game. I found that when my Collection Helper was on the game lagged badly, but once I turned it off the lagging improved greatly. I think there is a lagging issue with the game because the game will still lag, but turning off the collection helper made a big difference in my game. I hope this helps. I pre-ordered The Sims 3 Supernatural and installed it on my 13" MacBook Pro. 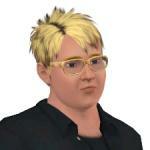 I can create supernatural sims in CAS but when I enter them into the town they turn into regular Sims. All the supernatural families I have created and were playing with turned into regular sims. 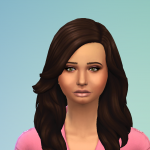 The supernatural citizens of Moonlight Falls turned into regular sims.... I paid $40 to play a sims game with supernatural sims and I cannot do that. I contacted EA technical team and they couldn't even help me. I am SUPER desperate for any help. Please! Can anyone help me? Hey I got the same garden glitch thing. Where my sim will start to garden once finished the first plant will stop wipe out my que and reset him a few spots away. He once actually disappeared and spawned in my driveway. I noticed that it starts to happen about 2 days before and after the full moon otherwise it kicks back to normal. I finally got fed up and put it to a New Moon setting permanently but now my sim tends the garden alright but the plants don't produce anything I've gone about 3 weeks in sim time and no fruit and the plants are still alive as well??? I do not have any mods and I have 8 cc's. I fit the requirements with a bit to spare, and have the latest patch. This was all in before the expac was put in and it worked fine then. Yes, my garden was already there when I loaded the expac plus max level and I soooo don't want to delete the whole 50 plants of finally perfect quality... ugh. And unfortunately, I was unaware of the save thing on a full moon with the zombies, though that don't bother me too much, it's sort of fun watching my neighbour stand and scream at my door.. I've only started to get this problem since Supernatural. When my sims are gardening they jump out of the action, BUT sometimes when it happens, they loose stuff from their inventory. I just had this same problem with my sim who was out collection seeds, when all of a sudden, he jumped out of the action down in town, showed up on the house lot, and his inventory was empty except for a few seeds. He lost his imaginary friend doll, his car, his camera, and the Collection Helper tool. (LTW) I can easily replace the car and camera, but the doll and tool I cannot at all or very easily. I hope they fix this soon. It's costing my sims items that are hard to replace. My pea-shooter doesn't work! It won't attack zombies!! boo hiss. Sims can play catch with it, but that's all. I tell it to attack a zombie, and it just sits there even though the zombie is well within range. And not sure if this is another (related) bug or not, but even after my sims revert back to normal, the pea-shooter informs me that they're all still infected with a latent zombie infection. And the library won't let me save infected sims to library, or export them to another town -- which is *massively* annoying. My werewolf Raymond & witch Viriginia married. Right after they tried for a baby. He was in human form. Heard the pregnancy sound. Over one day later, I found out she' didn't become pregnant. This was in Moonlight falls. All other couples in other cities get pregnant when they are supposed to. My toddlers imaginary friends disappeared. Strange, since one of them played with hers when I left them. Some days ago the family moved to a new house. I had to move my toddler back in the old house, to find the imaginary friend in her inventory. - Clothing changes on Werewolves issue. I have issues with my Werewolf and his default Music career outfits (from Stagehand upwards). The in-game career outfits don't seem compatible with him. If you are having issues with this I recommend making them a new career outfit as this fixed the problem for me. On showering just before work he will turn naked instead of changing into his career outfit. If not showering and carpool arrives he will try to put on his career outfit but appear to remain in his Everyday wear. If I open up the Change outfit menu, the icon for the Career clothing will appear blank. If he is at work at the full moon he will leave when about to change then freeze on the spot. Resetsim doesn't work as he will just get frozen at home instead! If he is not in his default career outfit, he can transform as normal! - Affected Sim will be invisible (to fix, Go to Edit Town, Split Household, Remove invisible sim then add him/her back in). - Affected Sim no longer in household (same fix as above. 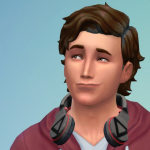 My sim was still listed as a household member in the Edit Town function even though his portrait had gone from the main game mode). - Menu/UI/Sim Panels disappeared. There's no fix other than to delete your save file from your C directory in Explorer then removing the ".backup" from the backup file. I think if you save regularly you won't lose too much progress. I only lost one sim days worth. I have Twallan's decensor and a skin replacement mod. 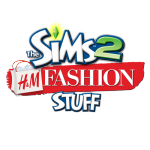 The only CC I have is clothing from the Sims 3 store. None of my other household have any problems. I hope this is of some help to those having the same problem. So I'm having an issue with my registration. When I go to register on TheSims3.com it tells me there's an error with my serial number! I am NOT getting credit for buying this game!! I bought with Origin! HELP!! I haven't received my simpoints or other free items for registering, and my profile is not showing it as a purchased game!! HELP!!! firs there's my baby. It's birthday was 5 days ago, but it won't go into toddler fase. Birthday cake doesn't work. Cheats don't work. Nothing at all works. I don't even get the "assist with birthday" in my action queue. Then secondly, I can't save my 100% human family to the library. It says something like "werewolf sims need to be in human form". I have no werewolf or any other supe in my family. Just 2 sims and a baby... all human! I am having issues with my Sims singer career as a witch. I chose the Singer Career, and when I end the song don't 'say not now!' the whole show ends & I lose my props. I am not sure if I should erase the Coffeehouse venue, and rebuild it (that's how I fixed the Mick's Master Karaoke problem) or just not go to the gig, or what. I didn't have these problems up until I installed 1.39 update. Of course this could've been a glitch that was present before then, and I wasn't skilled high enough to get it. Additionally, when it reached midnight in Sims time, my witch lost all his self interactions after doing a live venue (caused by visiting the Port-a-Party warehouse). I had to save him to the Library and evict him, and reinstall him into the active household to bypass that glitch. Not even resetsim would fix that. I am not sure if there are others having similar problems in their games, and I am afraid to do Simport with all these glitches occurring. I sent a sim on vacation. She married someone from Al simhara. They live in Lucky palms. I play another family. Today, I checked on them, and their memories showed newly engaged. I never had the lagging bug until I updated to the latest patch. I thought it was something to do with my computer but the more I look into it the more I think its Supernatural and the patch. Can someone help me. I have tested the game without mods and have used the "resetsim *" and it does not seem to work. I need help. I don't know if this question have been answer before but my fairy sim won't age, is it possible with one of the lifetime awards I purchased or it is simply a bug? * Bonehilda obsessed with baby. * After moving houses, my Sim reset whenever she tried to use the alchemy station. Once she removed all the "unknown special" seeds in her inventory, all was well. Guessing the game didn't know how to deal with her not knowing what the seeds were when it came time to potentially use those seeds in potions? * Alchemy consignment got corrupted and the shopkeeper just decided to leave and never come back. Resetting did nothing. In the end, I just deleted the register and placed a new one, which brought back the shopkeeper. I'm also not able to use the Premium Content spa--it lets me nap, but that's it. I guess that's not Supernatural specific though. I posted earlier in this thread about Werewolves and the music career but I have just discovered the bug is not werewolf specific but is actually a problem with the default Stagehand outfit. I made a new game with my witch being in the music career this time. She got to Stagehand in the music career then next day she went to work in her sleepwear! Her portraits are now invisible. As I had to close the game to do some other stuff, I assume when I open the game again she will be invisible as my werewolf was (I'll need to move her out and back into the household to get her back). Again the fix I imagine will be to create her a new career outfit. 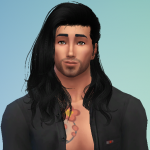 I just hope this bug gets fixed as I always have at least one sim in each household in the music career. I actually liked the Stagehand outfit!! I am having a strange glitch occur in my game where whenever one sim asks another to "forsake the fae" or "forsake witchiness" the option to go to the science lab never comes up. This has happened with two different game files and seems to happen with every supernatural type in my game. I don't know if this has already been discussed here before but I just wanted you to know it's happening in my game. Hello! I would like to ask just for help in a tiny issue. It's at the moment of creating a Supernatural creature. 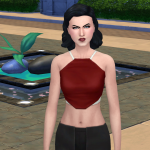 Y'see, I want to create a warlock and a vampire, and everything seems cool and well in the CAS...but at the moment of putting them inside a house, they become normal humans again! As if I never created a warlock and a vampire. 1. Are you using any Custom Content or mods ? I don't think so... I just installed the game months ago and I haven't downloaded anything. Or the Hidden Springs count? 3. If you're not using mod, did you never use them or did you take them out for the EP (as you are supposed to do)? Never. 5. Do you have Supernatural or just the Patch ? I'm not sure what this means. 6. Which Patch Level are you at ? It's the most recent one. 7. Did you start a new game or are you playing an existing ones ? It's quite a recent one. I started it like a month ago. 9. What town are you currently playing ? EA or Custom ? EA, Moonlight Falls. 11. Do you have the download or DVD Version of the game. Download.